While the multi-touch mice took up most of my visit to the dark corridors of Microsoft Labs, I did get to see some other fun stuff. The first thing I saw was the pressure-sensitive keyboard I wrote up a little while ago; its creator took one apart for me to show how it worked. It’s remarkably simple: it’s the exact same technology used to detect keydowns on almost every keyboard out there, essentially a tiny circuit that gets completed when you press the key down. They’ve simply added a way for the key to increase conductance the harder you press it, and it requires almost no new parts at all. The biggest change is in the drivers, but they’re working that out, and one fortuitous side effect is that there will be no keydown limit on these keyboards. You could be pressing every single key and it would still be pulling an 8-bit pressure state from all of them. Really, it’s all shown quite well in the video above, which I posted before but is worth seeing again. I have to say, the analog input for movement in games was everything I wanted it to be. Very sensitive and very fun to use. 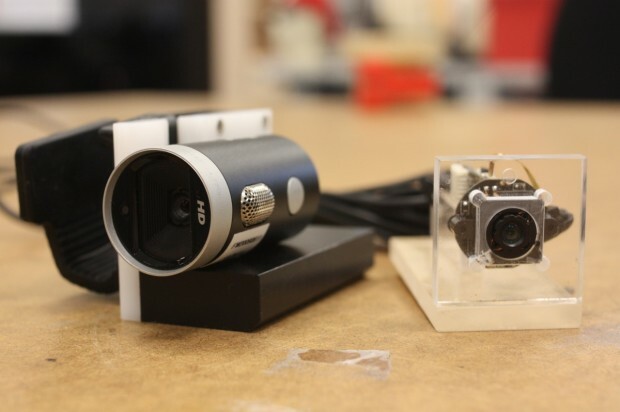 Next we went over to the rapid prototyping workshop, where they use a fabrication machine to create whatever mockups they needed or make, say, a stand to hold a webcam while testing it. You can see something like that in the photo at the top of this post. I would have liked to get some pictures and video, but they were skittish about it. The fabricator was in the middle of creating a new mouse, and who knows what else might have snuck into one of my photos. Then we were off to the sound testing lab, which is in a special enclosure and placed in the building so as to avoid acoustic interference. 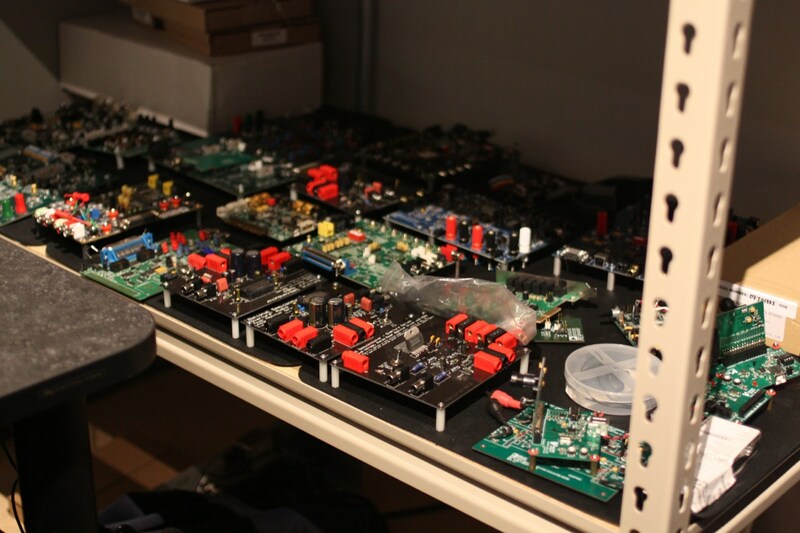 Here they tested microphone sensitivities and such like, and had all manner of cool audio gear, speakers, and reference boards lying around. 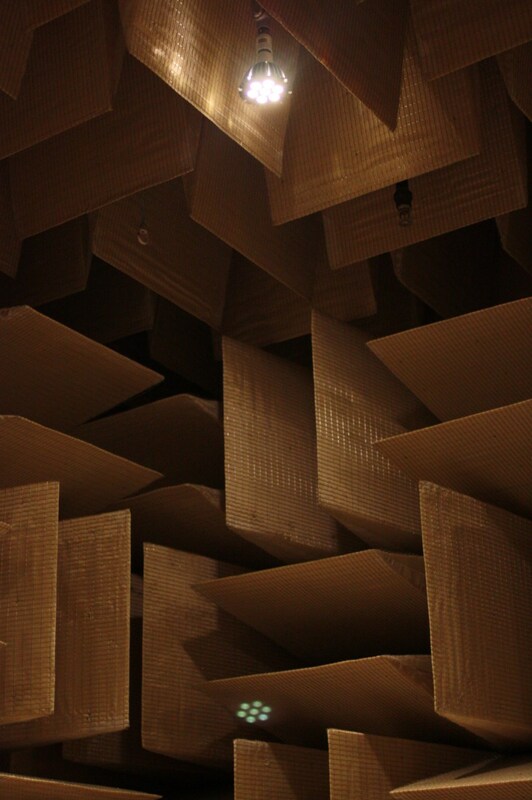 The coolest thing, though, was the anechoic chamber. 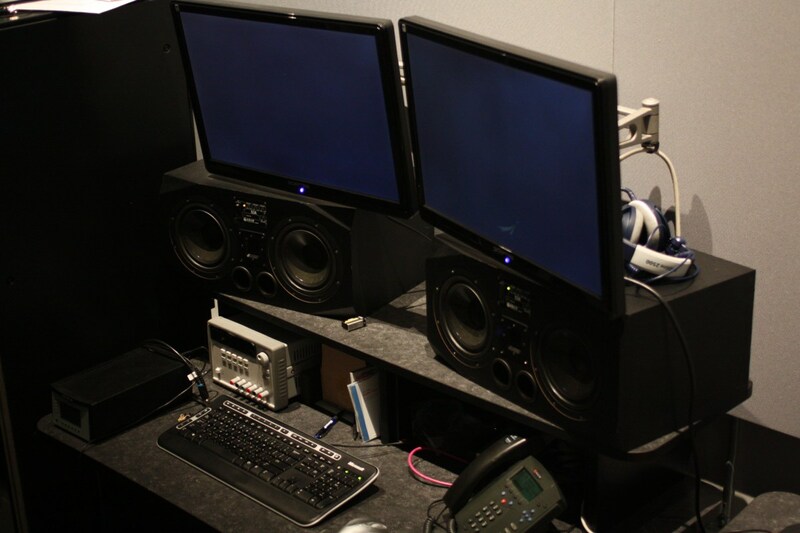 This was where you’d actually have testing done — it’s designed to completely deaden all sound from inside or out. I thought the lab area was quiet, but when we stepped into this thing, it was like I was dead. The spiky things you see there completely absorb the sound you make, so the only sound you hear is a direct wave from the source to your ear. 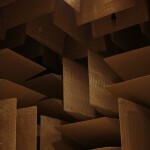 Wilson at Gizmodo took the same tour I did and has a more thorough look at this anechoic chamber, so if it sounds interesting, check it out. If you ever have the opportunity to get inside one of these things, go for it. I got the feeling that behind every door in that enormous building was some new and exciting project. And really, that’s true, except usually they share spaces so there are several behind each door. As much flak as Microsoft gets for being gigantic and inflexible, I’m always amazed by the variety of things that take place on that huge campus.